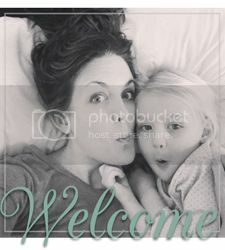 I am in the process of creating about eight different posts about some really awesome stuff. There's an overdue update on the girls and their birthdays. I'm working on a few comprehensive lists for random things that I hope you will find helpful. The new Isn't She Lovely feature is also on it's way. Lots of work to do over here. In the mean time, the day to day stuff is what you get! 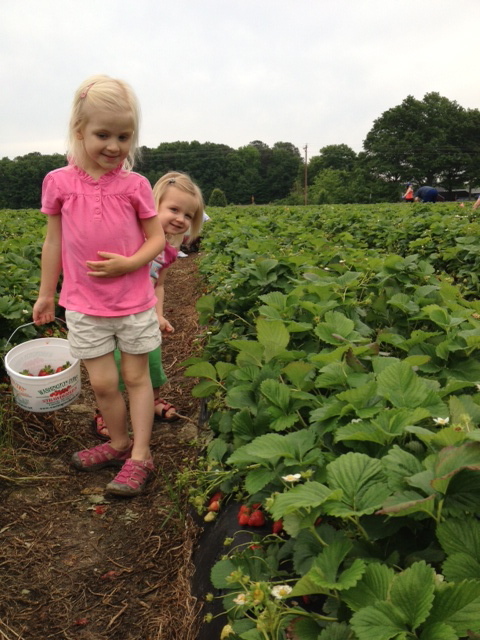 Last week Sonja and I decided to pull the big kids out of school and take a field trip to pick some strawberries. I have been wanting to do this for a very long time. 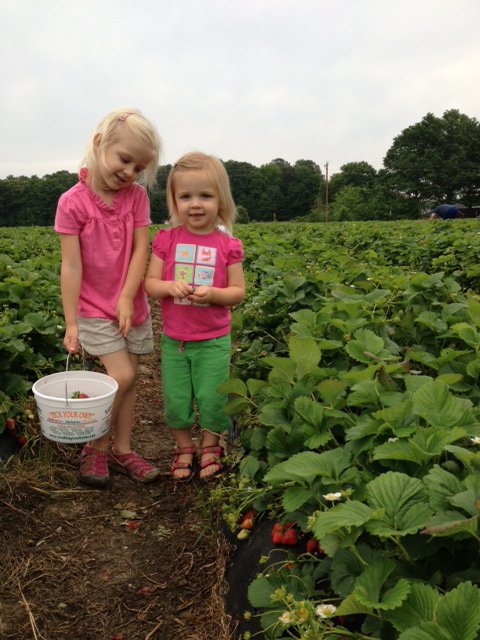 We went to Washington Farms in Loganville, GA. 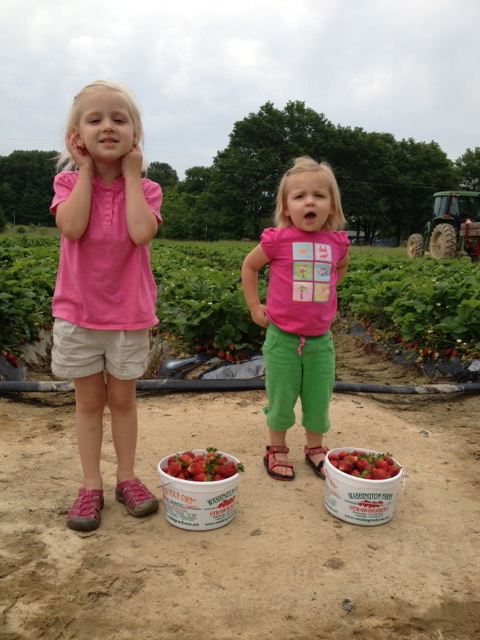 The strawberries were so easy for the kids to pick, there were a ton of them, and they are delicious! Sonja has a five year old named Teddy and a three year old named Samantha. Evie and Teddy have the most adorable little relationship. Evie stares at Teddy with the same sense of amazement that she used to have for Lila before she and Lila started bickering over every. last. thing. On the other hand, Lila and Samantha usually play really well together. 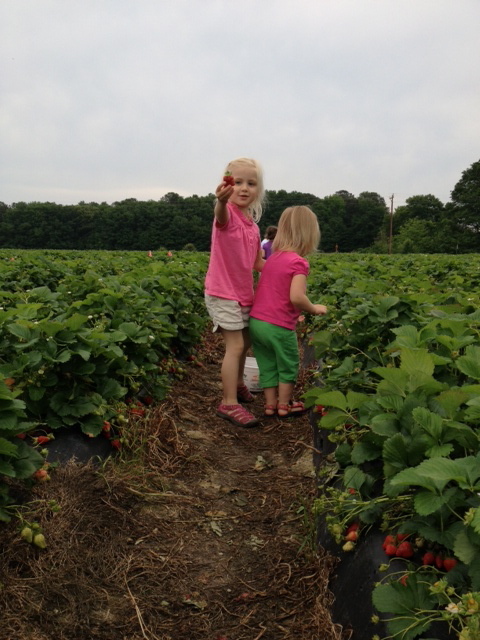 It has to be said that Samantha won the berry picking award for the day. Evie and Teddy were somewhat bored about ten minutes in. Lila picked for a while, but was very meticulous. Therefore, she needed help filling her bucket towards the end. Samantha may have a future in sustainable agriculture. She was focused and quick. I'm pretty sure she would have done it all day if given the chance. When each kid had a full bucket we sat down for a snack and then headed home. It was the easiest and most enjoyable outing. When we got home we cleaned the strawberries and slightly gorged ourselves on them. That's the point right? I highly recommend doing something like this. 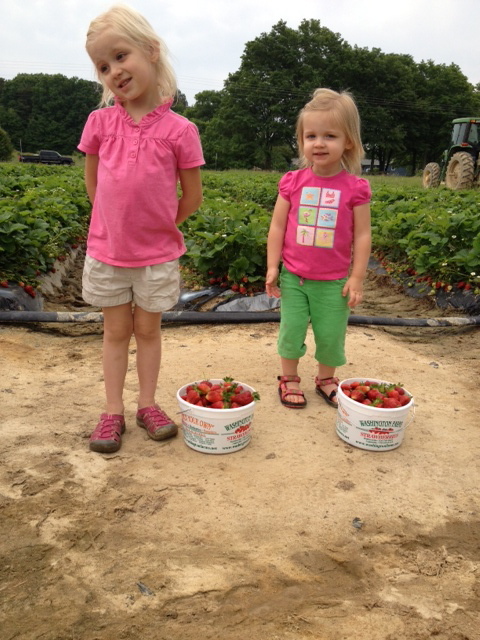 We plan to go back for blueberries and whatever else we can find to go pick! Here is a progression of photos that capture the day. 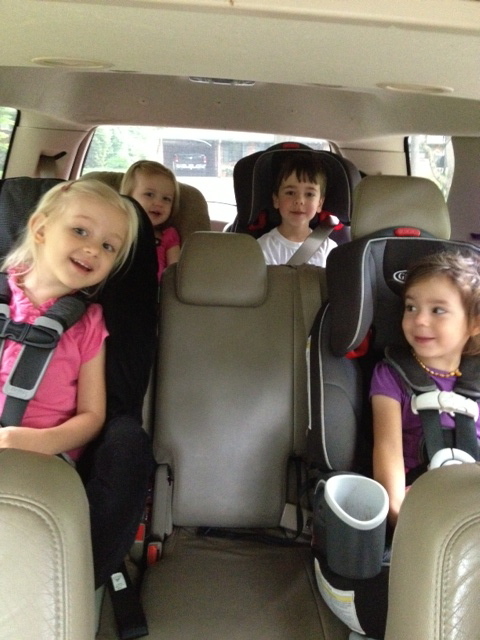 So this is what it's like to have four kids in car seats in a one vehicle. VERY LOUD. That little one...she's a sneaky chick. I could just eat them up. Trying to take a picture with both of them looking and smiling is beyond hard. 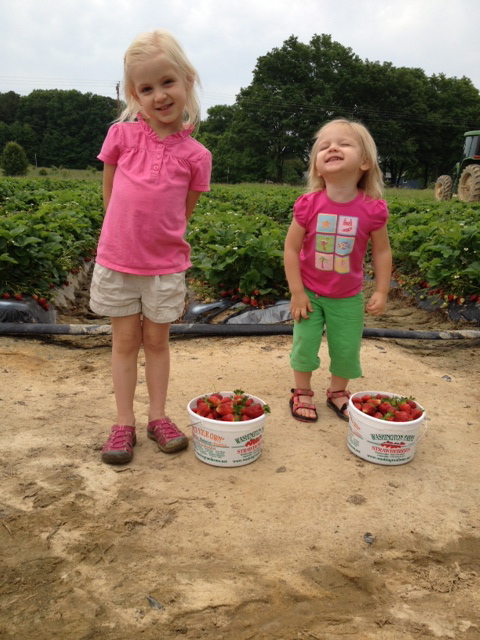 I imagine Evie was either screaming the word "cheese" or telling Lila it was her turn. BTW, turn taking is for the birds. I find myself saying, "just go do something else...you'll be less stressed" instead of "wait your turn". Obligatory smile that always ends up being fake. And awkward. Ugh, fine. Let's just be done with the picture taking and eat some berries.